Coming from Muchmore is a long belt type tyre warmer for 1/10th off-road and 1/8th GT tyres. 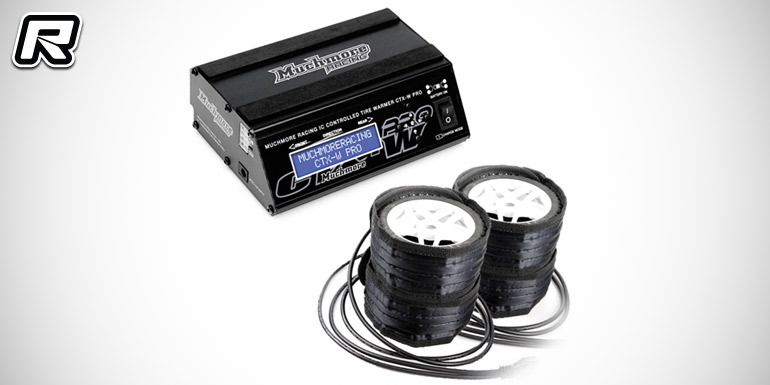 The proven CTX-W tyre warmer unit offers 4-button navigation, an easy-to-read LC display and it is usable with with 12V DC power or an optional 11.1V LiPo battery pack that makes for a stand-alone unit that allows to carry the heater around even when heating the tyres. The included warming belts measure 440x60mm, large enough for 1/10th off-road and 1/8th GT tyres.